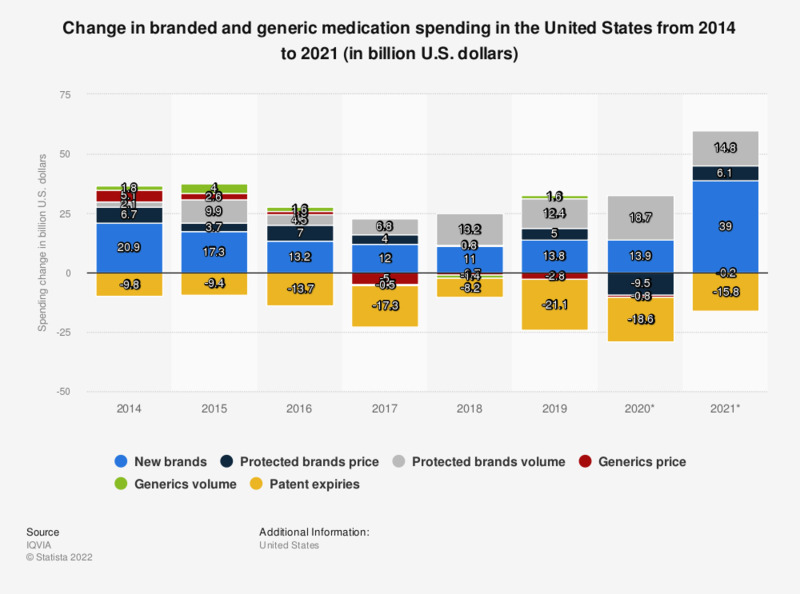 This statistic shows the components of change in total spending on medication in the United States between 2013 and 2017, in billion U.S. dollars. In 2015, an increase of 2.7 billion U.S. dollars was reported for generics prices. * Generics include both unbranded and branded generics. Segments are mutually exclusive. Includes all medicines in both pharmacy and institutional settings. Protected brand growth is split by volume and price growth. New Brands segment includes products launched in the last two years. Patent expiry category represents the impact of products that lost exclusivity.